If you are ready to work hard and spend some time then you may find hundreds of ways to make money online or offline. But have you ever thought off getting Free Money without doing anything or spending any time. Yes! I am talking about absolutely free money in your pocket without doing anything. So do you want to know how to get this free money? 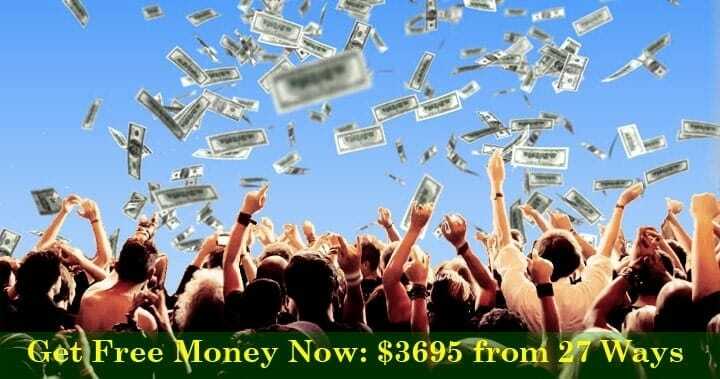 I am going to show you not only 1 or 2 ways but 27 ways where you can get around $3695 free cash. I am sure you will make at least 20% of this amount today itself if you go through all the ways & take little action. Swagbucks is one of the most popular rewards program where you can get gifts & cash for shopping, searching the web, watching videos & completing simple surveys. You can get $10 free signup bonus from Swagbucks. If you want more money, then you can find my Swagbucks review which helps you to earn regularly from Swagbucks by spending just 10-15 minutes. Signup Swagbucks and Get $10 Free. InboxDollars is another rewards sites similar to Swagbucks that will give you free money instantly upon signup. 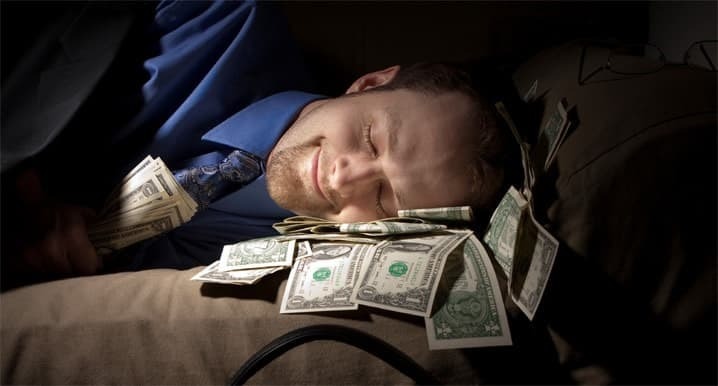 You can make more money by taking surveys, reading paid email, playing online games etc. You can check this InboxDollars review to get more idea. Signup InboxDollars & get $5 Now. MyPoints is one of the oldest reward program. Get a free $10 Amazon card once you signup MyPoints & purchase one or more items totalling $20. You can get more cashback ranging from 3% to 5% for all your future purchase on sites like Amazon, Walmart, Target etc. Earn more by completing paid surveys, watching videos, playing games and reading emails. You get an easy $20 free bonus for just requesting a prepaid, reloadable card from Netspend.com account. In order to get the free $20, you’ll need to load a minimum of $40 on your card ( as prescribed by the website) using PayPal, a bank account or one of the other options. Go to the ATM and withdraw the $60 total from your card or spend the funds wherever you can use a credit card. 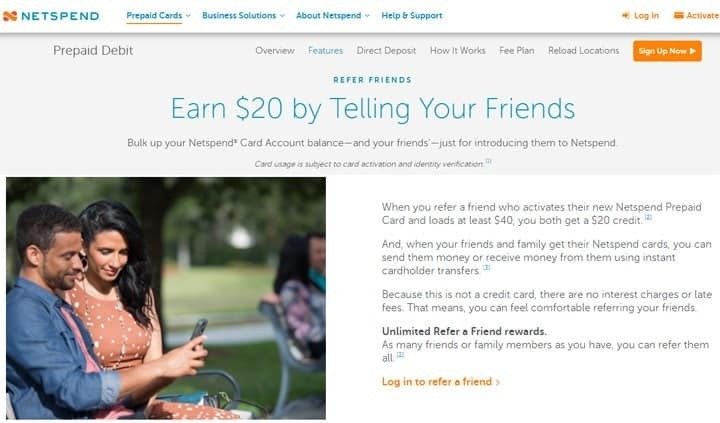 If you want to earn more free money from Netspend then you can promote their refer-a-friend program where you can get $20 each when your friend opens a Netspend account. I like AirBnB a lot and I make sure that I book accommodation for my next trip from AirBnB only. One main reason is that I find same quality as big hotels at less than half rates. You will get $40 credit in your account once you signup AirBnb and book accommodation for $75 or more. If this is your first ride for Uber then you can get $15 free for your first ride. All you have to do is signup at Uber & use the promo code HITTHEROAD. Stash is one such app available for both Android and Apple smartphones which help you earn $5 from investing as little as $5 and make a 100% profit. Many Smartphone apps like Acorn, actually pay you for investing your pocket change by connecting to your bank account, credit and debit cards to save your digital change. It automatically rounds up purchases with your connected accounts and invests the difference in your specified app account. Plus, they give you a free $10 when you download the app and make your first investment. Select banks give you as much as US$ 500 free when you open certain types of accounts. Usually, banks offer this free cash when you open a premium account. Meaning, you are required to maintain a daily balance that can range anything from $ 2,000 to $ 20,000. Usually, the bank will also levy a monthly or annual account maintenance charges. The free money will be credited to your account as soon as you deposit the minimum stipulated amount. However, you need to observe all terms and conditions for the bank account. Check this latest list of banks where you can open a checking account & get up to $500 free. First time applicants of credit cards can get some free money to spend. It is given in the form of free credit that can be used to buy stuff. Amounts range from $20 to $200, depending upon your credit ratings and other parameters. To qualify, you should be a first time applicant and have a good credit score. Meaning, there should be no financial default against your name. Nor should you have availed a loan from any bank or lender institution. House mortgage is fine since it is considered as secured loan. Check this list of the credit cards that offer up to $500. This is something very interesting and can get you as high as US$ 2,000 in free cash. However, you need to qualify. Firstly, you should have an excellent credit rating. Secondly, you should have a credit card with a very high credit limit. Thirdly, you need to have a healthy track record of repayment. In such cases, you can approach another credit card provider. They will buy off your credit from the other bank, provided it is not high. Meaning, you get a new credit card with zero outstanding. You can make as high as $50 per night or more for merely sleeping. Yes, we mean it- simply sleeping. Companies that make sofas and mattresses test their products for comfort through humans. They ask people to try the mattress and report about the comfort. Sometimes, these sofas and mattresses are kept on displays in showrooms, for people to see how well you sleep on the product. Mattress, pillows, blankets, beanbags and loads of other stuff is tested in this manner. The concept of goBaby was launched in New York by a mom. She rented prams, walkers and other baby stuff to passengers with infants transiting through the city or its airport. If you have spare baby stuff lying in your house, you too can download the goBaby app and offer it for airline passengers to get rent up to $20. goBaby is rapidly becoming popular across USA and will spread to every city and town. Allowing new or established businesses to put up a hoarding on your garden, roof or window for a few days gets you enough money. Here, we cannot say how much you can earn because realty and outdoor advertising prices vary according to each location. However, you are assured of a decent income if you allow the company to use your premises for advertising. The hoardings and posters will be removed by the company’s outsourced advertising agency once your lease is over. eBates is a rebate card with a difference. You have to make all your purchases online. You can register online for eBates membership and get free $10 Walmart gift card or Ebates cash. However, to get this $10 credit, you need to make purchases worth $25 within 90 days of joining eBates. This trick of getting free money was inadvertently advertised by Hollywood hit ‘Terminal’. The movie depicts actor Tom Hanks stranded at the arrival lounge of an American airport and struggling for survival. He earns 25 cents for each airport baggage trolley returned. You too can earn loads of free money provided you are willing to merely collect baggage and shopping trolleys and return them. Trading in foreign currencies has indeed become popular after the massive economic slowdown that affected USA and other parts of the world from 2008 to 2010. The downturn shook the otherwise strong faith of Americans in the US Dollar. Tens of thousands of Americans turned to trading in foreign currencies to hedge their hard earned money against vagaries of the local economy. End of this economic downturn however spelled bad for foreign exchange trading companies. To keep up the business, they offer $5 to $20 as startup credit for your foreign currency trading account. One of the Forex trading sites is NPBFX where you can register to get $20 free no deposit bonus. If you are on prescription medicines, this is one good way of getting some free money. All you need to do is transfer your prescription to another pharmacy. To retain your loyalty, they will offer you free cash- at least $25 to $50. Often, this free money will be given as discount on your purchases. If you have a good reputation in your profession and some degree of following, your name becomes a brand of sorts. You can lease your name to consulting companies or educational institutes. For example, a noted football coach can officially lease his name to a training school. In return, you are assured of a part of their profits. If your employer is giving you 401K matching funds then you can get free money. However after the recession many employers have cut this particular benefit. But if you are still enrolled then you get absolutely free money under this program. The money that you will get is every year and it is like getting a bonus or a pay hike. But it is free. You can sell old cell phones or Apple devices for cash, instead of piling harmful thrash. There are some websites like Gazelle interested in making a deal with you. They pay for your shipping costs and send you packing material too. You just have to wait for a check in your mail or a gift card or cash transfer to your PayPal Account. There are also apps for smart phones where you can sell old movies, CD’s or electronic devices in bulk to make approximately $50 or more depending on their schemes. If you've been looking for a way to sell your books online, there are many apps for iOS or Android devices, one such app is Ziffit.com. You just enter your ISBNs or scan in the barcodes using the app to find out how much your books are worth. Delivery is all taken care of too. Choose your preferred payment method bank transfers, PayPal payments and cheques, as well as Instant Cash Voucher. Upload a picture of any piece of furniture or item you want to sell and put it for sale in a public place like OfferUp or on special apps for smart phones. Give all details and specifications and there you go! Chances are you will get good offers that can help you get quick cash. some market research websites like SBK Center actually pay you for your junk mail. Guess what? you’ll be rewarded for your junk mail with gift cards to some of your favourite stores, but the exact amount varies from company to company, and each company has a different way of paying. For example, World Mail Panel credit points to your account every time you confirm receiving one of their mails. It sounds ridiculous but its true all your online purchases will now earn you money. There are certain apps where you signup for free and they help you get back your money spent. They compare price drops on your purchase from partner retailers and claims the difference with the retailer or credit card issuer. All you need to do is to save your email receipts and download the app Earny. There are some sites like Cardpool.com that are interested in buying your unused gift cards and you can actually trade them in exchange for cash or another gift card. ‘Post For Gold’ websites like MonkyTalk.com claims they give $10 free bonus just for joining their website. The gift in gold is not real money, it is a rewards system similar to coupons that can be redeemed from ICDirect.com Inc for gifts or in special cases as cash rewards. Writers can use Grants to help pay for taking a class, attending a conference, child care, traveling for research, producing a project, hiring a consultant, developing a website or to support you while you write. You just have to apply to the organisations and qualify. Students, receive “free money” after completion of the Free Application for Federal Student Aid (FAFSA) form. The information supplied through this form is used to make award determinations for grants, loans, some scholarships and federal work-study. Forms must be filled before deadline. Similar to elsewhere in the world, the US also consists of various communities and ethnic minorities. If you belong to any of these communities, you are eligible for grants. These financial grants can run up to $ 5,000. However, these grants are given only for economic uplift of an individual or family. You can get these grants for higher studies or to set up a small business, if you have no other source of income. Indeed, there are no free lunches, as the old adage goes. Similarly, there is no free money that you can earn without moving a finger. The 27 different ways to get free money that we mention also require minimal effort on your part. A word of caution: Beware of scammers. There is no dearth of fraudsters who pose as genuine and legitimate companies on the Internet. Instead, there are phishing scams. They make attractive offers of free money. In the process, they gleam away your personal details and use these for some nefarious acts. These scams can cause perfectly decent, honest people to be unwittingly branded as criminals- merely because someone else used their good credentials. You still forgot to mention the websites where you are paid for signing up for free. There are some that pay you between 0,5 to 2$ for a free sign up. Click on that link and read everything. I also made a short video. I need it .Thanks send on mobile wallet BOA +256700893073 Rusiimwa Conrad. I SHALL BE HAPPY IF I GET A POSITIVE RESPONSE. Hi i am mizan milon.a letter artist.good hand writing system is my profetion.and need free money quckly. Please give me a format to own a PayPal account in Nigeria. I am ready to start working.thanks. Congrats on the redesign! It looks great!!! 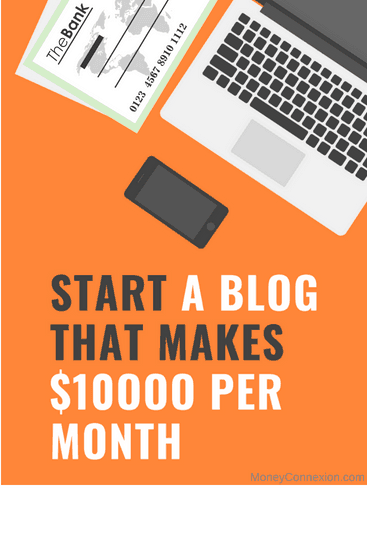 And love a good list of how to make money – it’s how I repay my law school debt (making more money on the side from blogging)!